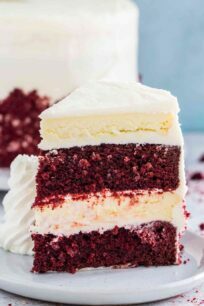 Cheesecake Copycats from our beloved restaurant – the Cheesecake Factory, will get you addicted to their popular and famous cheesecakes. 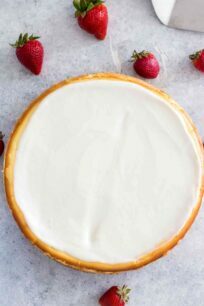 In this section, we list recipes of our favorite cheesecake from them, with easy to follow steps. Also, we try to include short video of each cheesecake recipe to make your experience better. 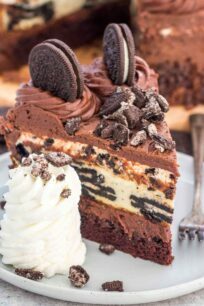 We have the Original Cheesecake Factory Cheesecake which was featured and viewed millions of times on Facebook and Instagram . This is a luxurious and creamy cheesecake with a graham crust and sour cream topping. In addition, the cake is rich, creamy, and is made with just a handful of ingredients. Another delicious cake is the Pecan Pie Pumpkin Cheesecake. 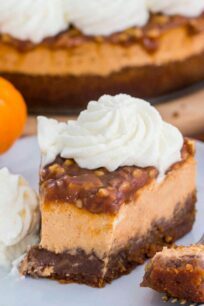 This cheesecake is made of a thick layer of pecan pie filling that has been topped with a luxuriously creamy pumpkin cheesecake.